The Indus Valley Collection combines extraordinary values with the latest fashion trends. It uses a finely honed skill to create rugs with the appearance of hand knotted pieces to make them available at tufted prices. 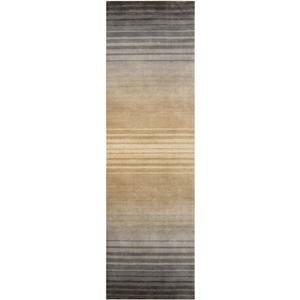 The stripe patterns - clear and crisp or softly blended - make a great accent to any decor. The solids within the collection combine simply textures within a classical and timeless neutral colors. The Indus Valley 8' x 11' by Surya at Hudson's Furniture in the Tampa, St Petersburg, Orlando, Ormond Beach & Sarasota Florida area. Product availability may vary. Contact us for the most current availability on this product. Browse other items in the Indus Valley collection from Hudson's Furniture in the Tampa, St Petersburg, Orlando, Ormond Beach & Sarasota Florida area.